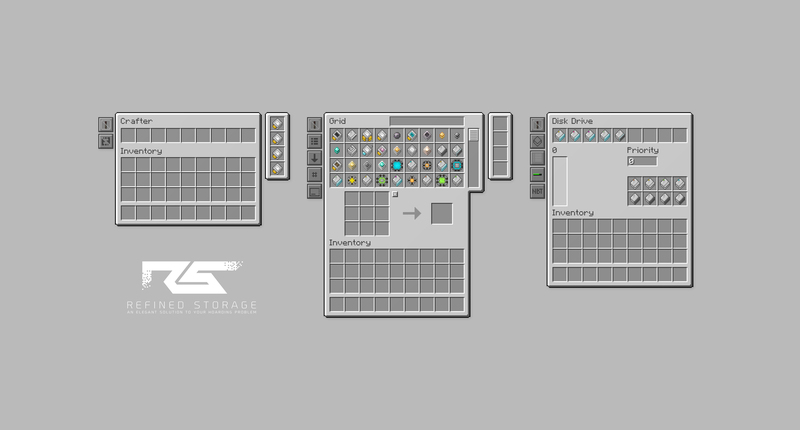 Refined Storage is a mass storage mod for Minecraft 1.10.2, 1.11 and 1.12 that offers the player a network-based storage system, allowing them to store items and fluids on a massively expandable device network. Follow me on Twitter to stay up to date with the mod! All textures were inspired by Applied Energistics and created from scratch with the exception of the Controller and the Disk Drive which remained as close to the originals as possible to retain that core element of inspiration. Also try Refined Storage Addons!